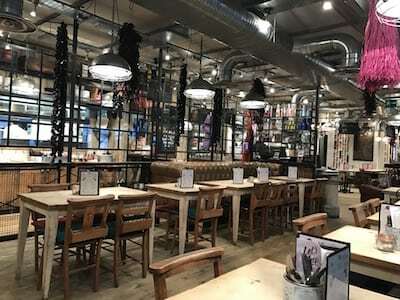 When visiting London for a work conference, I found a wonderful cafe right around the corner from my hotel. 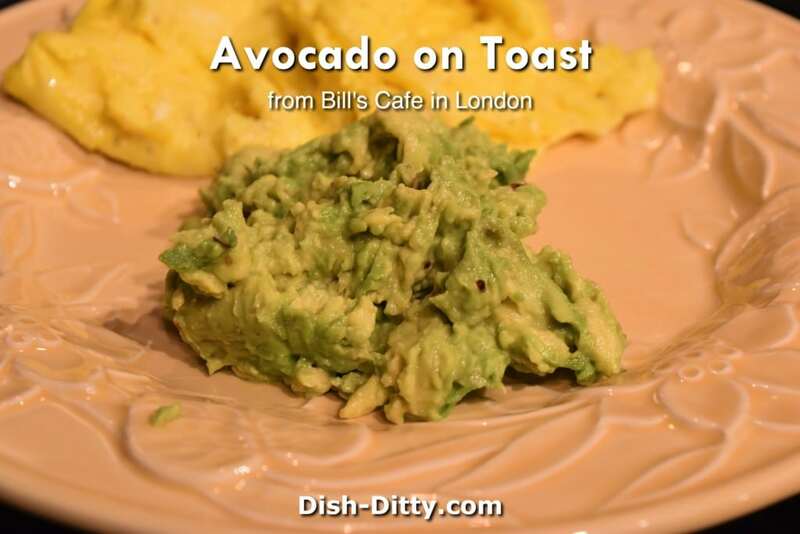 I wound up going there every morning, and this Avocado On Toast Recipe was my go to choice for breakfast from Bill’s in London. 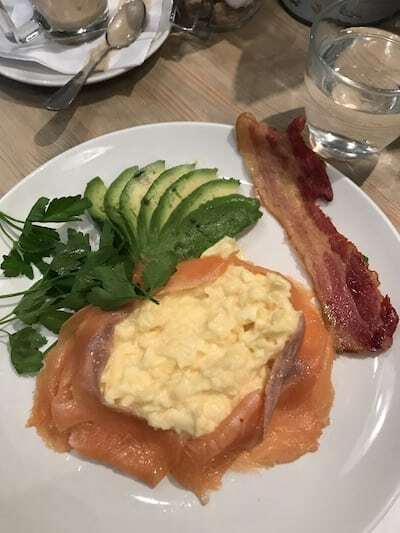 A simple yet satisfying breakfast, I was able to have this as a low-carb breakfast (minus the toast of course) and was able to start every morning with a smile on my face. 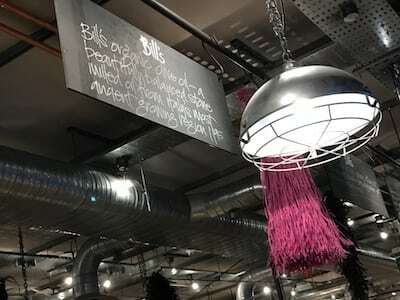 Walking into Bill’s Cafe was a welcoming experience. 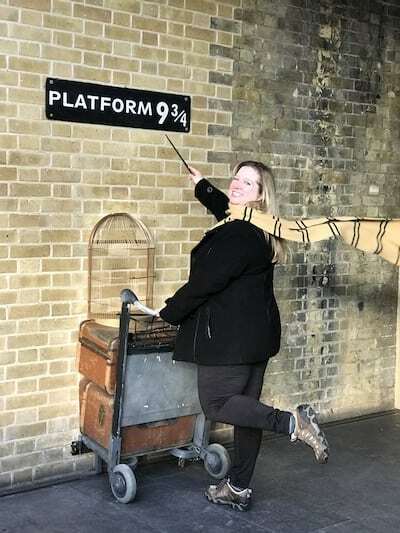 A quaint decor and friendly staff was waiting to greet me when you walk through the door. 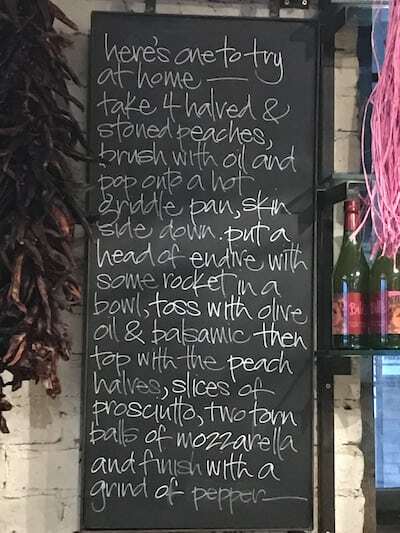 Throughout the restaurant, there are quaint sayings, as well as recipes, posted on chalk boards, picture frames, etc. 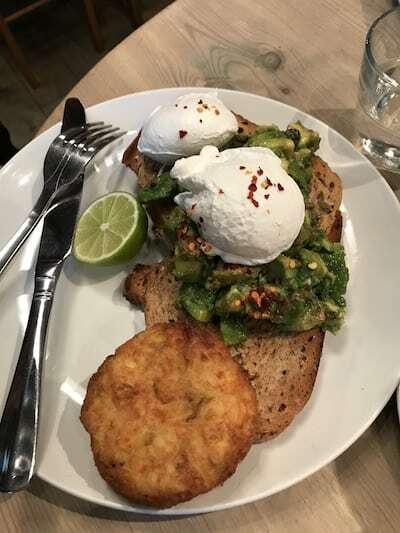 The two breakfasts I liked the best was the Avocado on toast as pictured below with poached eggs & Bubble & Squeak (I’m going to have to make this too) and the eggs with salmon and a side of avocado. Can you tell I like avocados? 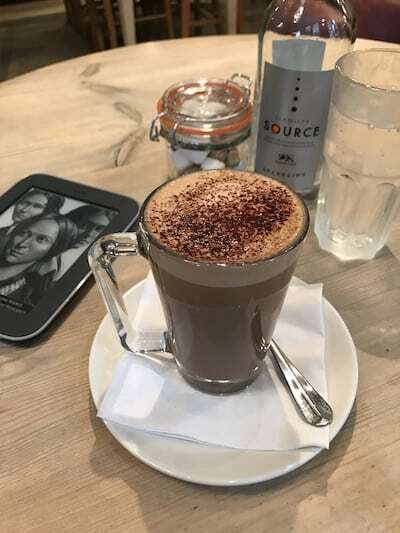 But one of the best parts about Bill’s Cafe was just sitting with my mocha, reading and getting just a little quiet time before I went on an all day marathon around town. I was averaging walking 11-12 miles a day. I needed that early morning moment. 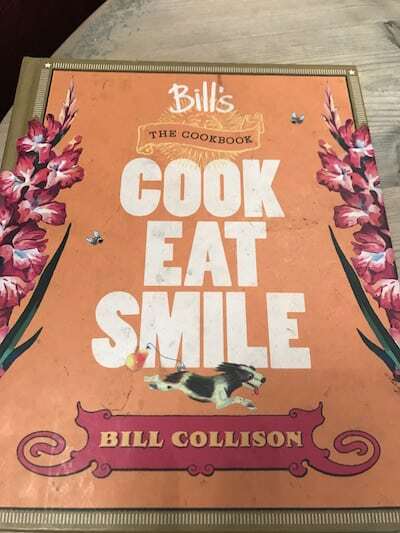 Bill’s sells a cookbook as well, but I didn’t see the avocado and toast in there and the Bubble & Squeak recipe was for a Thai version. It also was all in metric, which is great, except all my utensils are not. 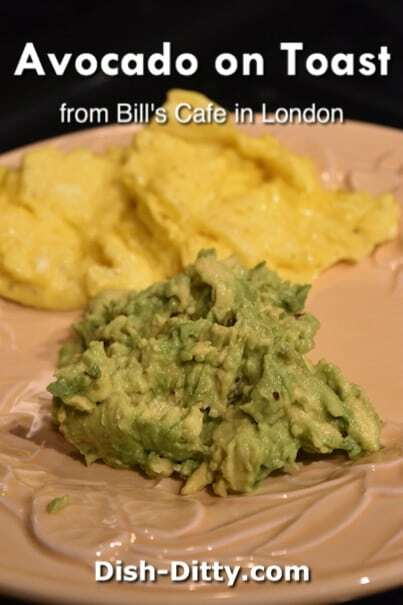 So, if you are in London and want a peaceful, delicious, breakfast, go head on over to Bill’s at 9 White Lion St, London N1 9PD, UK. Peel and pit the avocado. Using a fork, mash the avocado with the lime, salt and crushed red pepper flakes. Keep the avocado chunky, don't try to make it smooth. Serve on toast (or without as pictured) along with your favorite style eggs. 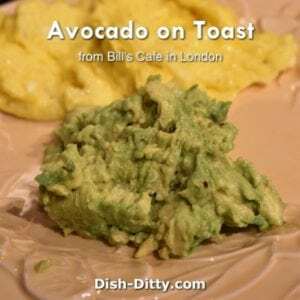 No Replies to "Avocado On Toast Recipe from Bill's of London"